With Valentine’s Day coming up in a few weeks, it sounds like a good idea to focus on the true relationship with our green friends. Because when you think of it, the relationship with your plant barely differs from the relationship with loved ones. The more time and love you give them, the better they thrive and the more leafy love you get in return. But how? Caring for plants can be very rewarding, but something we just need a little extra help. And that’s where this book comes in! 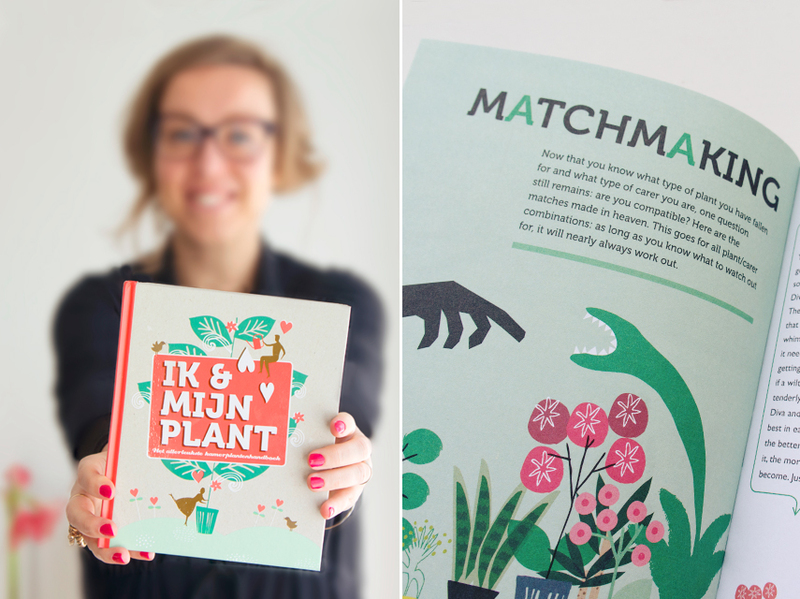 Me & My Plant by Dutch publisher Snor, gives us the secret to a blossoming relationship with our plant. 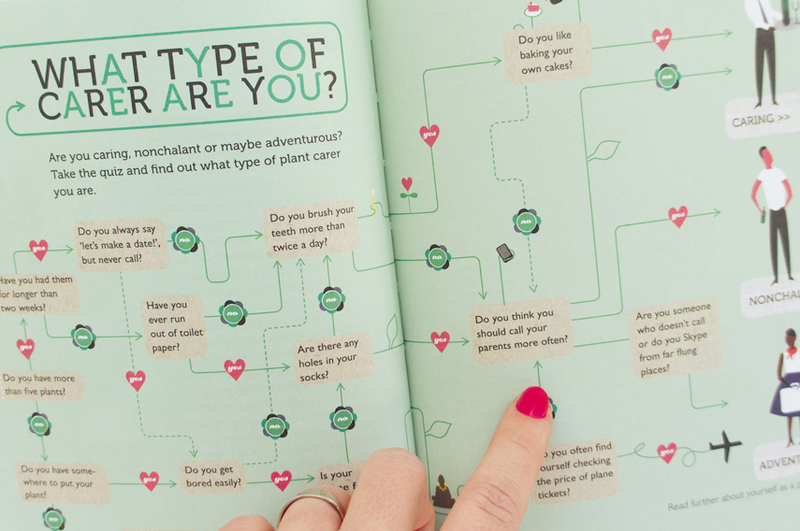 In six chapters, the Me & My Plant covers the six phases that a love relationship usually goes through: from falling in love to growing old together. After the first butterflies, we learn how to find the right spot and pot for our green friend and the effect that green spaces have on people. Of course, we don’t live for our plants, we live with our plants and we sometimes need some time for ourselves. 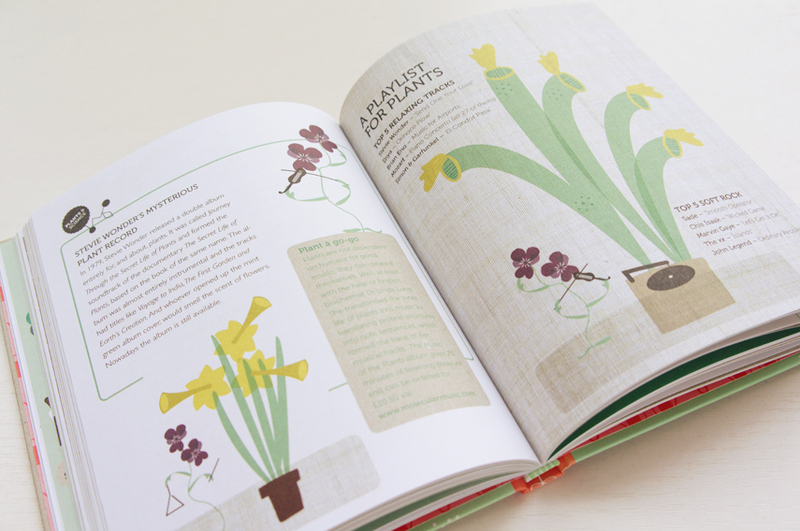 In the third chapter we find some very useful holiday survival tips and some geeky tools from around the web to keep track of our plants. Chapter 4 is a fun one: it’s called New Life, which means propagation, spoiling your plant and some groovy playlists for your plants! Did you know that some plants also absorb noise? Or that there are actual Plant Whisperers? The last chapter is the most poetic one: After being together for so many years, nothing can drive you apart or make you disheartened. Side by side, you battle on – because even though things don’t go as smoothly as before, the love still remains. And if it really is over then at least there’s always the book full of memories. 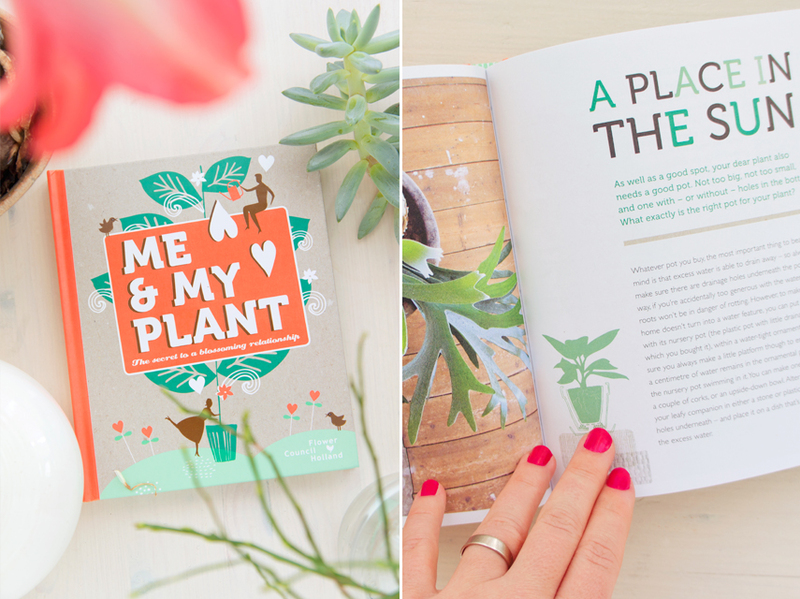 Overall, Me and My Plant is very complete guidebook with lots of hands-on tips to improve your life with plants. 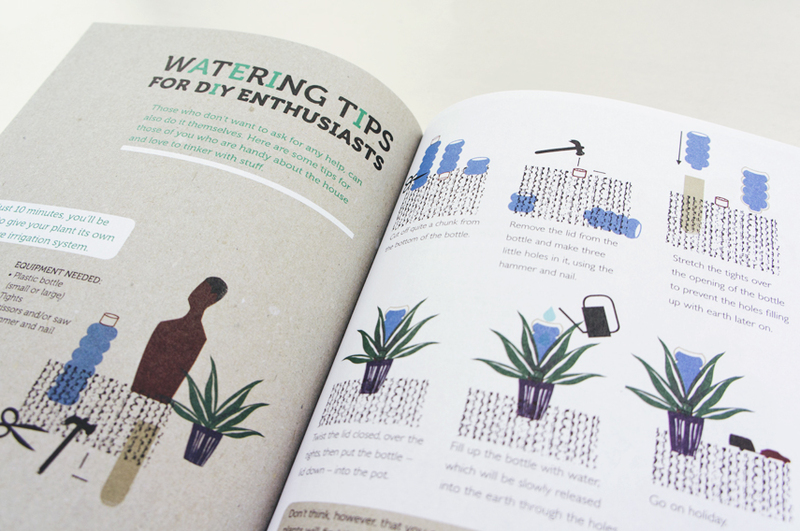 We love the quirky illustrations (by Maaike Kuiper) and the modern twist on subjects that we can find in all traditional botanical books, like watering, propagation and repotting. 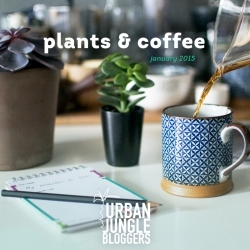 It’s the perfect book for any Urban Jungle Blogger, whether you want to find out which plant would best fit your lifestyle or want to learn more about what plants actually do for you. 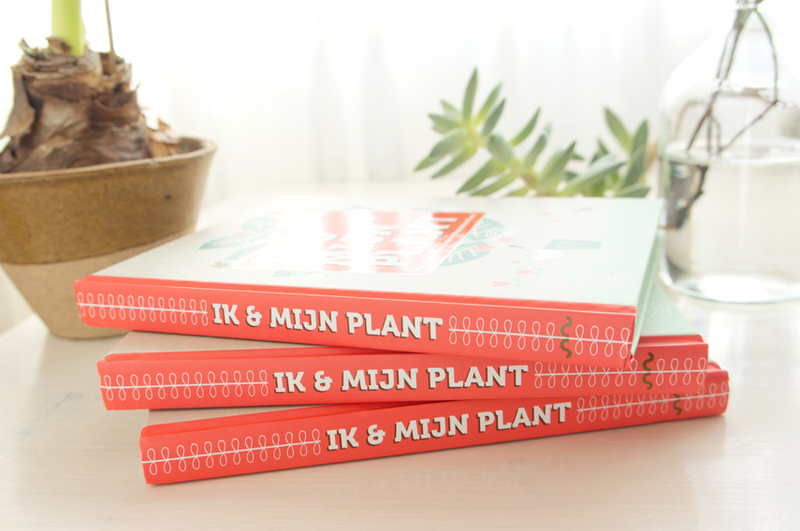 And because we want to share the love for plants with YOU, we teamed up with Snor to give away 3 of these books in Dutch. Simply leave a comment below and we will announce 3 winners next week, on Monday February 9th! This giveaway is open worldwide, but please note that the books for the winners are written in Dutch. Fingers crossed! This giveaway is now closed. The 3 winners are Nina, Marij and Yzette and they have been contacted by email. Thank you for playing everyone!